British Columbia is considering its next steps to fight climate change, and increasing the carbon tax is one of the options on the table. 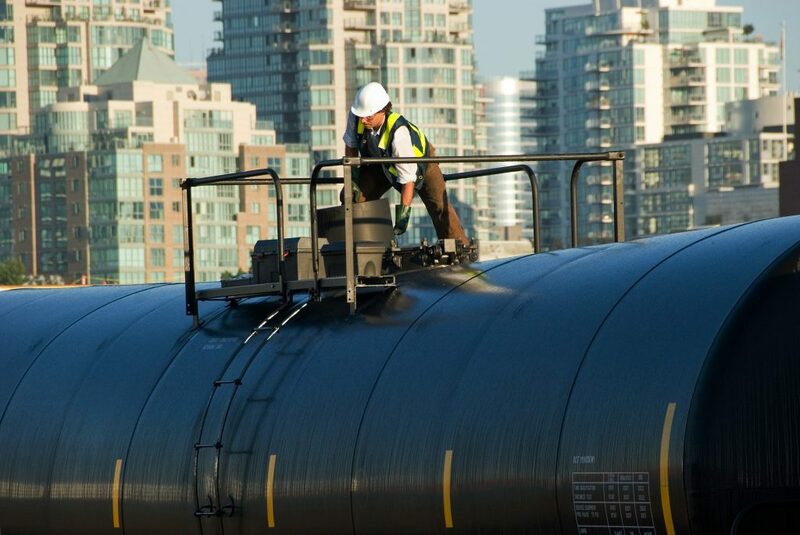 B.C.’s carbon pollution is on the rise. 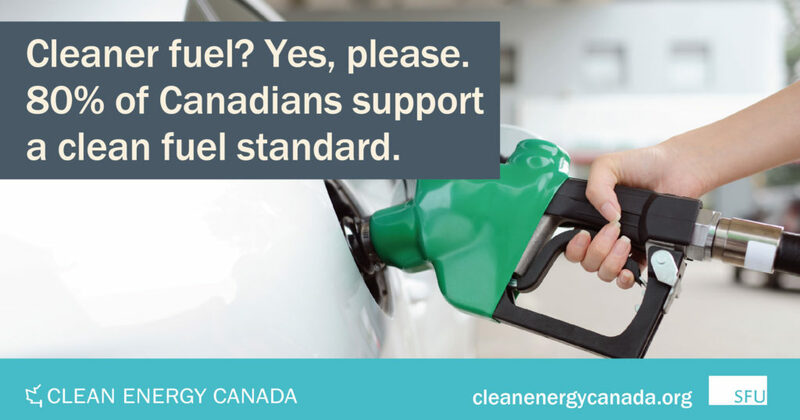 To get back on track to reducing carbon pollution, the government will need to consider new tools (like clean vehicle standards), and strengthen existing tools (like the carbon tax) to drive down its emissions. 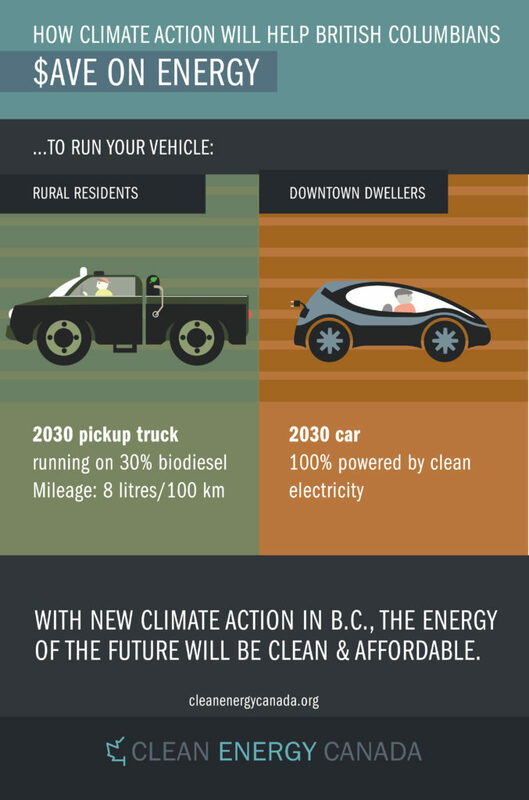 But before sounding the alarm, it’s worth looking at what stronger climate action would mean for B.C. households — because new research finds climate leadership is better for the bottom line than you might think. Even though the price of energy is expected to go up, the amount British Columbians are spending on energy is expected to fall if the province adopts stronger climate policies. 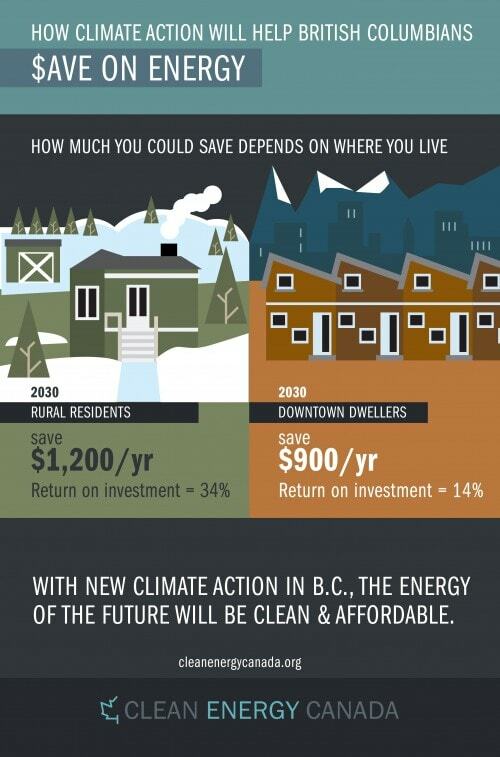 New economic modelling by Navius Research finds that by 2030, households across B.C. could save roughly a thousand dollars a year compared to what they spend today on natural gas, electricity, gasoline and diesel fuel. 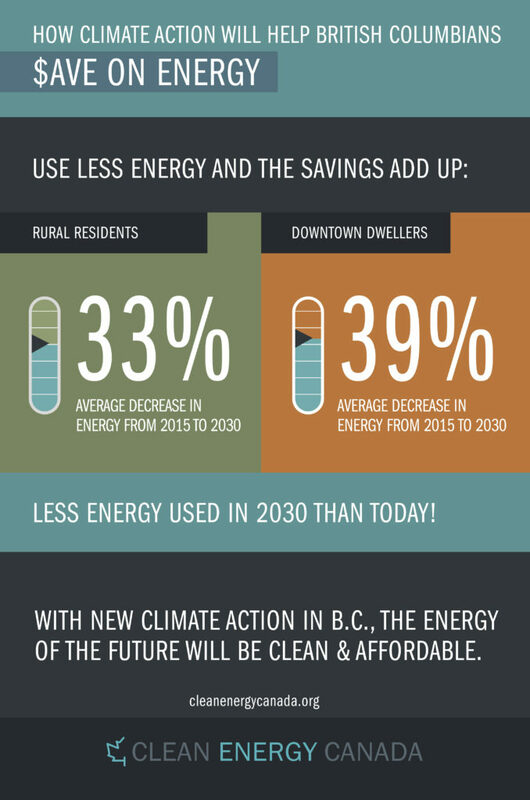 It’s counterintuitive, but here’s where the savings come from: with stronger climate policies, our homes and vehicles will use less energy. As British Columbians replace old furnaces and cars and trucks, a mix of policies and incentives will ensure they will have cleaner and more affordable options to choose from. Thanks to these more efficient products, within 15 years the average household in the Peace River region stands to save up to $1,200 a year, while a typical Vancouver household would save roughly $900 a year. Households across B.C. could save roughly a thousand dollars a year compared to what they spend today on natural gas, electricity, gasoline and diesel fuel. 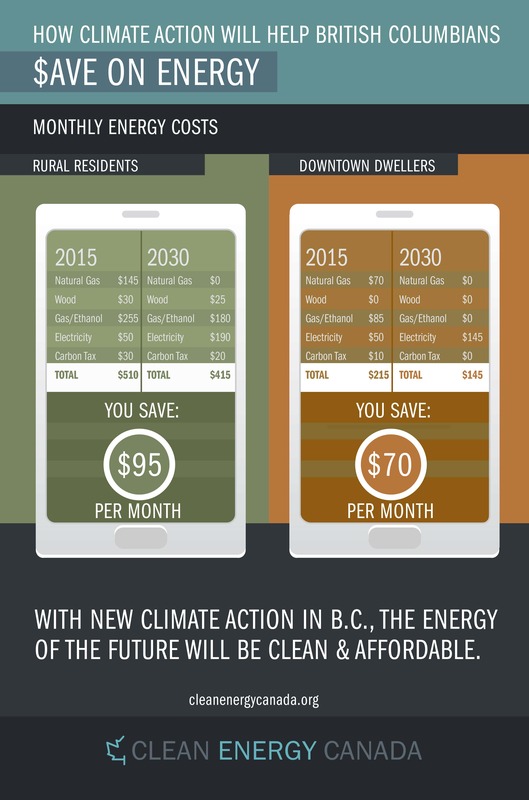 The graphics accompanying this break down how much two average households could save by 2030. 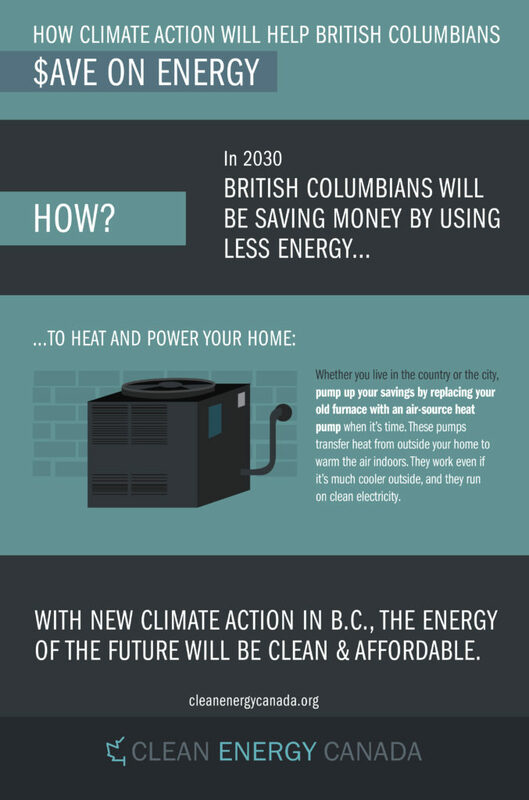 Whereas today most British Columbians burn natural gas to heat their homes, 15 years from now many of those furnaces will be replaced by high-efficiency heat pumps — electric units that transfer heat from outside your home to warm the air indoors, and work even when it’s much cooler outside. 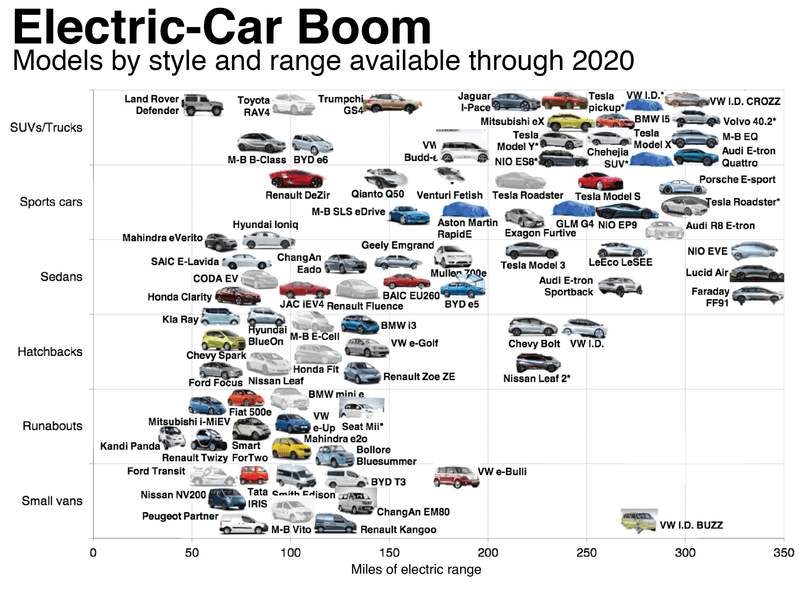 New cars and trucks will be more efficient and there will be more fuel choices — electricity, biofuels and gasoline will compete for your dollar when you need to fill your tank (or charge your batteries). These changes are already happening today. Thanks to fuel-efficiency requirements and innovative engineering, a new pickup truck can be as much $525 dollars per year cheaper to run than a 2000 model, and driving it produces less carbon pollution. Stronger policies and innovation will continue to drive down pollution and save you money. These are just a few examples of how our energy use in 2030 could be different from today — everyone’s lifestyle and homes are different, and the opportunities to save will be just as diverse. And of course, the benefits of climate action go beyond the garage. The latest report from Clean Energy Canada, A Clean Economy and Jobs Plan for British Columbia, finds British Columbians will have 270,000 more job prospects in 2025 than today, and easily triple that by 2050, as the province and the rest of the world cut carbon pollution. B.C.’s economy as a whole is expected to continue growing at a pace of about two per cent a year — the same as it would without climate action — adding a healthy $46 billion over the next 10 years, and nearly doubling by 2050. British Columbia has proven it’s possible to reduce carbon pollution while growing its economy, and we have learned to use the power of the market to drive innovation in generating cleaner electricity and making our homes and vehicles more efficient. It’s time to ensure British Columbians across the province reap the benefits of climate leadership. And that means we need the next set of policies and programs that will make it easy and affordable to power our lives with clean, efficient energy. Originally published in the Vancouver Sun, November 23, 2015.